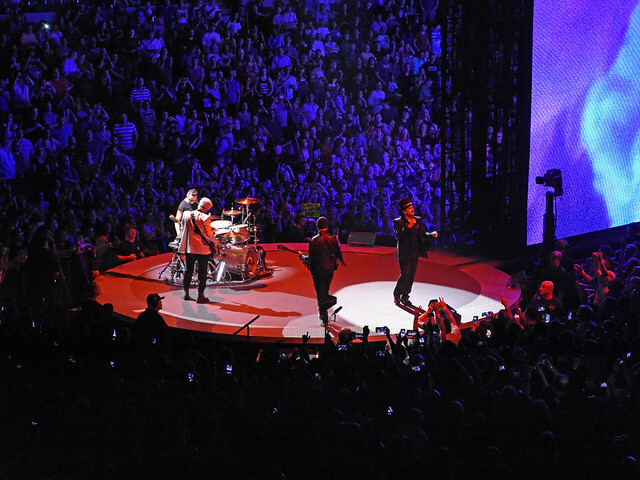 Live Review: U2 Give Fans a True Experience in NY Reviewed by Diane Woodcheke on June 11, 2018 . A good long standing relationship is something to be cherished, especially among four members of a rock and roll band. 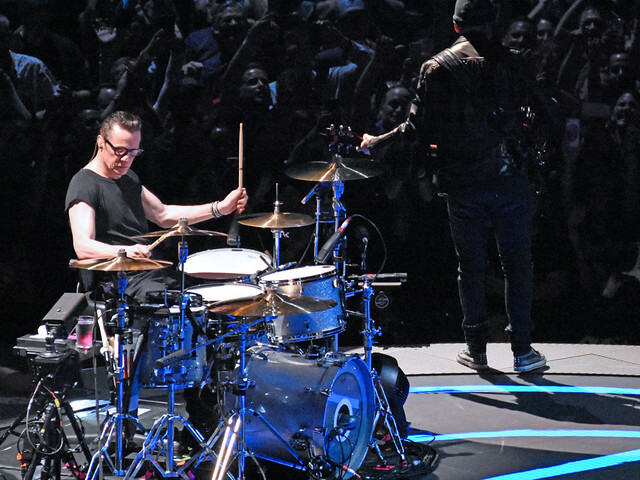 Bono (vocals/rhythm guitar), The Edge (lead guitar/keyboards/backing vocals), Adam Clayton (bass), and Larry Mullen Jr. (drums) have been together through thick and thin since 1976. It all began when Mullen posted a musicians wanted ad up in their Dublin school. The four teenage boys would grow to become men together in an industry that tears so many apart, it has to be the magic of kinship that enables them to bond so well together. Over the last four decades they have reinvented themselves while easily keeping up with changes that naturally occur over time, all the while their fan base just grew and grew. Their music has touched so many, from powerful songs that represent their social and political views, to warm heartfelt songs that became so many a lover’s wedding song, they have provided a soundtrack to millions of adoring fans lives. With their legacy still growing, at this point in their career they have sold more than 170 million records, with eight of their fourteen studio albums going No. 1 in the United States alone. With that being said, they are the only band to have No.1 albums occurring in each of the last four decades. 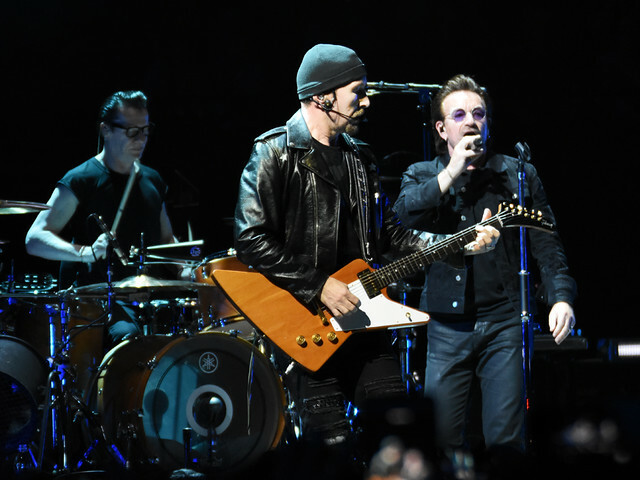 Having won their first Grammy Award for The Joshua Tree in 1988, they went on to be nominated forty-seven times and have won a total of twenty-two Grammy’s to date. Among the countless recognitions and awards this band has received, the list is just too long to name them all, but it can not go without mention that these four amazing musicians were inducted into the Rock and Roll Hall of Fame in 2005. 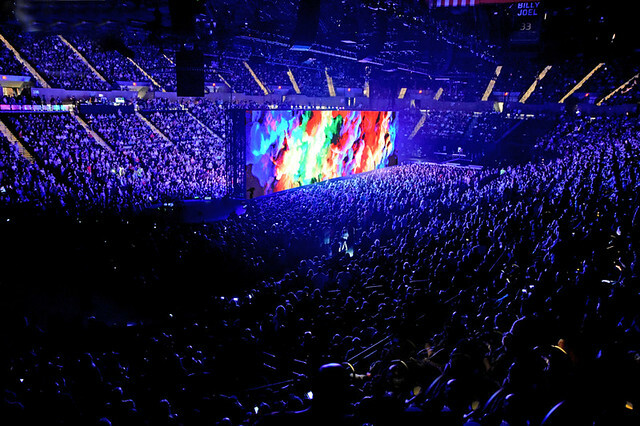 U2 is extremely well known for their live performances and elaborate stage designs, so it was no wonder that this stop on Long Island to the NYCB Live at Nassau Coliseum on June 9th was completely sold out. 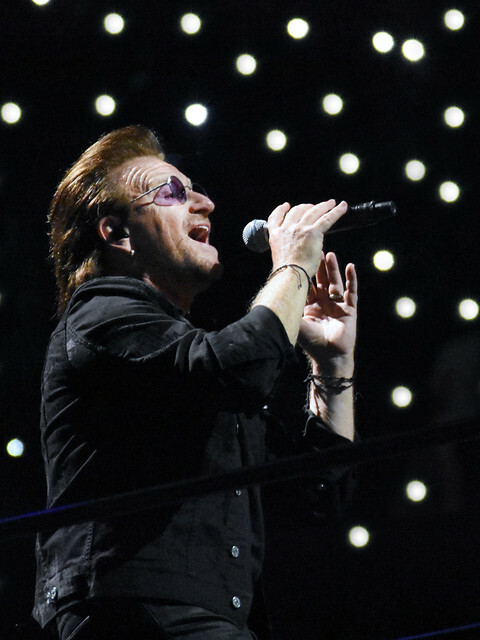 The surrounding parking lot of the venue was filled with tailgaters having a bit of pre-show fun and blaring their favorite U2 songs from their car stereos. But once inside the venue, filled with fans of all ages wearing their concert t-shirts from tours past, the anticipation was surreal. And speaking of stage designs, this tour defines the word elaborate with a performance area spread out throughout the floor. There is a main stage, and a long catwalk to another smaller round stage. There is a huge video screen the length of the catwalk, which at time raises and lowers. With such an awesome design there is not a bad seat in the house. When the time came for the show to start, all the fans were at their seats and as soon as the video screen lit up roaring cheers erupted. 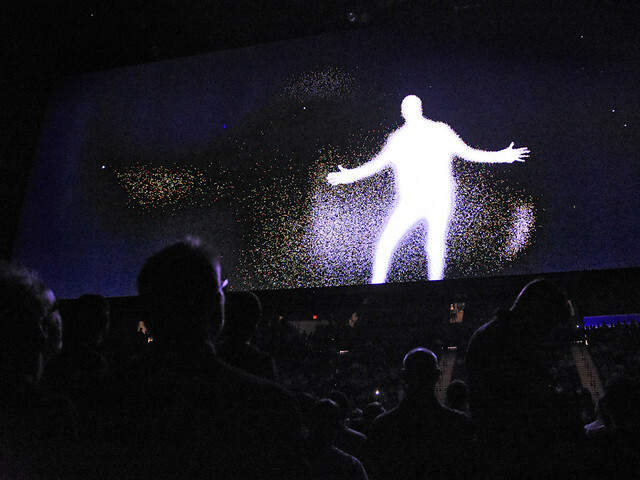 For the first two videos “It’s a Beautiful World” and “Rain” played to images on a mesh screen, then with the screen still lowered the band began with playing “Love Is All We Have Left”. 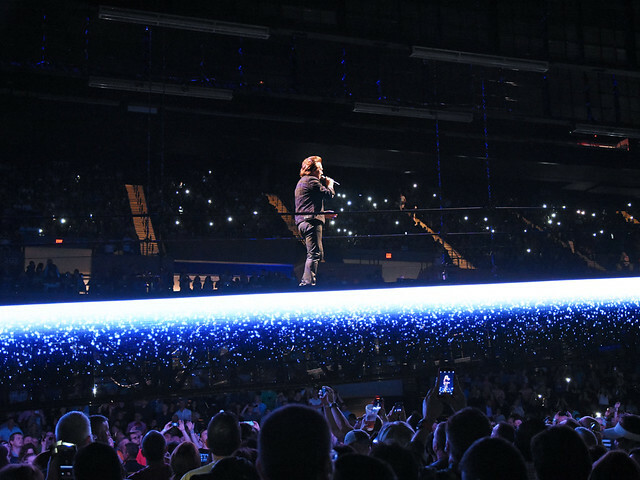 Now completely visible to the audience they played “The Blackout,” “Lights of Home,” “I Will Follow,” “Electric Co,” “Beautiful Day” and “The Ocean”. 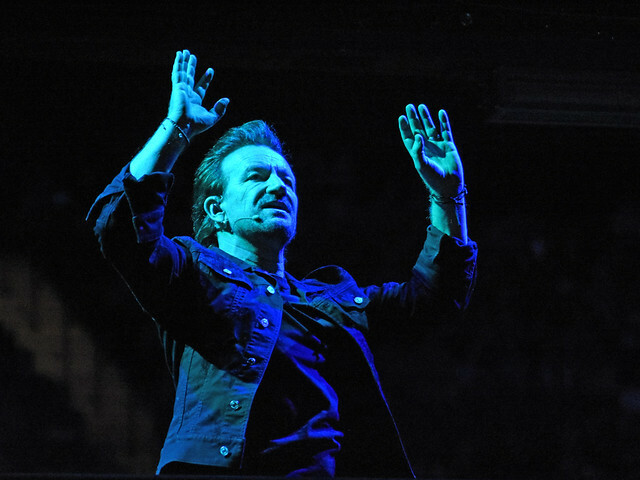 Before they played “Iris (Hold Me Close)” Bono spoke about the history and deep meaning of the song. 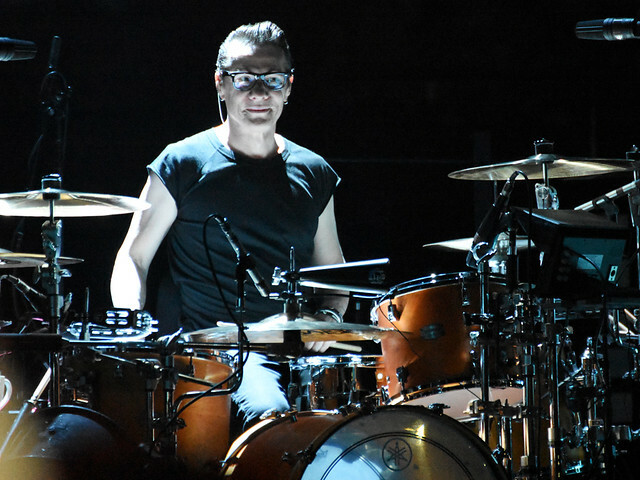 Then after “Cedarwood Road” the band formed a line on the catwalk, Mullen with only a snare drum strapped to him, like in a marching band, and they performed the powerful song “Sunday Bloody Sunday” with an awesome accompanying video playing above them. 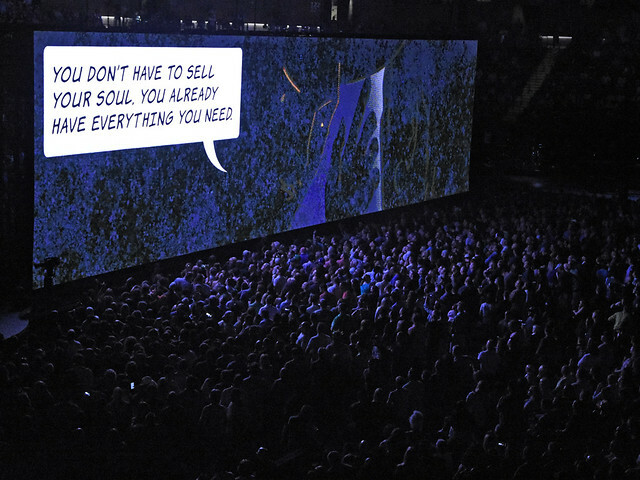 Concluding this section of the performance with “Until the End of the World,” the band took a short breather while a comic book story video played on the screen while “Hold Me, Thrill Me, Kiss Me, Kill Me” played. 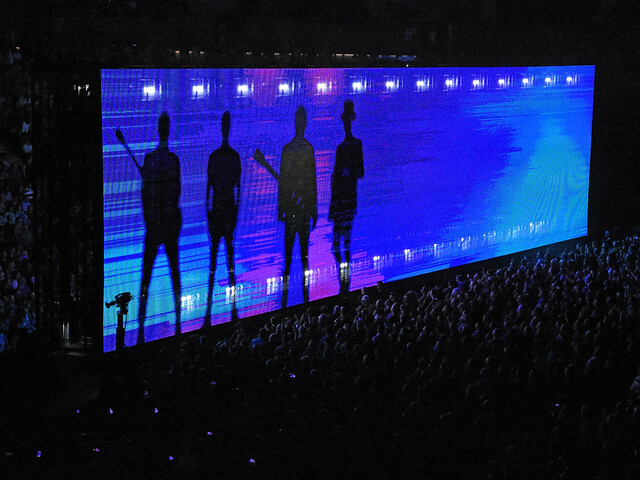 As the video came to the end, silhouettes of the band walking out to the smaller round stage at the other end of the arena showed on the massive screen. Once back on stage together they played “Elevation,” “Vertigo,” “Desire” and “Acrobat”. 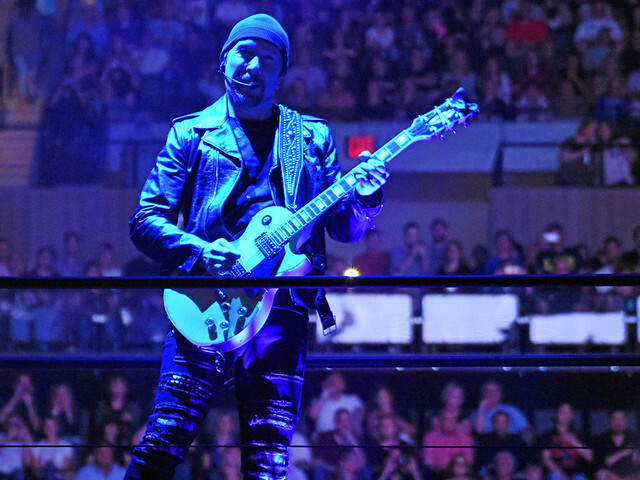 Then it was time to return to electric and the band was together again to play “Pride (In the Name of Love)”, “Get Out of Your Own Way”, “American Soul”, and “City of Blinding Lights”. After giving much thanks, waiving and taking a bow the band left the stage, except for Mullen who went over to his drum kit to get a pair of sticks. During the show someone near to the stage was raising a banner with his name on it, so to give thanks he went over and motioned to the security guard to pass the sticks to that person, needless to say he surely made that fan happy. With deafening cheers U2 was not gone for very long. After another video played to “Women of the World,” they performed a three song encore with “One”, “Love Is Bigger Than Anything in Its Way”, and “13 (There Is a Light)”. 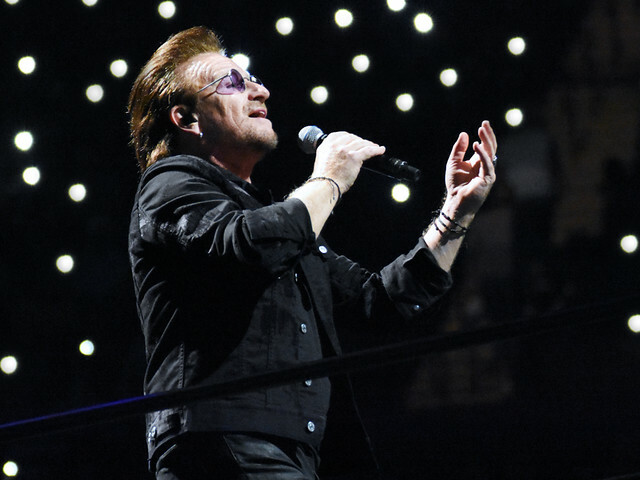 While Bono was saying “Good night and thank you” the fans were screaming and directing all their love to the stage for that one last time. As the venue cleared out there was a sea of smiling faces and an overall feeling of satisfaction. 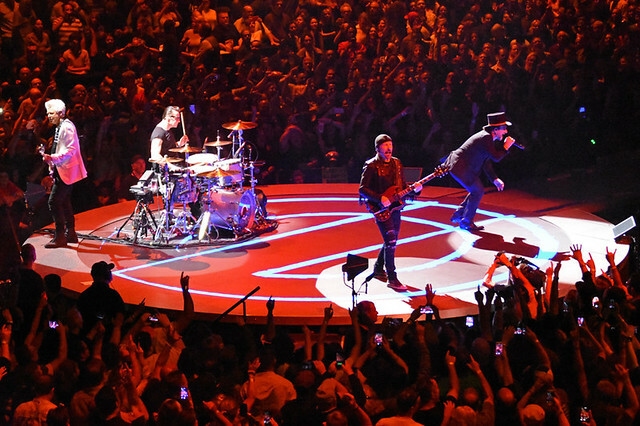 If there is one thing that you can count on at a U2 concert, it’s that they will amaze you. They always put on a stellar performance and manage to blow your mind each time. They played the songs to perfection, at times if you closed your eyes you might think you were listening to the record. With only a limited number of shows left in and around the New England area of the United States for this tour, you can still catch them, as their last show will be in Connecticut on July 3rd. 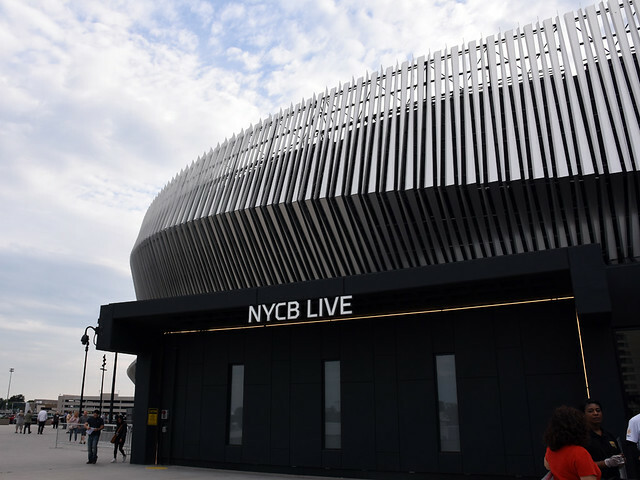 And if you are in the New York City area you still have three chances to see them live at Madison Square Garden on June 25th and 26th and also on July 1st. The group will then head off to Europe from August through November.